Links will appear here to my own articles and projects as well as recommendations of books and articles written by others which have a focus on health and wellbeing. Emma Mitchell has suffered with depression – or as she calls it, `the grey slug’ – for twenty-five years. In 2003, she moved from the city to the edge of the Cambridgeshire Fens and began to take walks in the countryside around her new home, photographing, collecting and drawing as she went. Each walk lifted her mood, proving to be as medicinal as any talking therapy or pharmaceutical. In Emma’s hand-illustrated diary, she takes us with her as she follows the paths and trails around her cottage and further afield, sharing her nature finds and tracking the lives of local flora and fauna over the course of a year. Reflecting on how these encounters impact her mood, Emma’s moving and candid account of her own struggles is a powerful testament to how reconnecting with nature may offer some answers to today’s mental health epidemic. 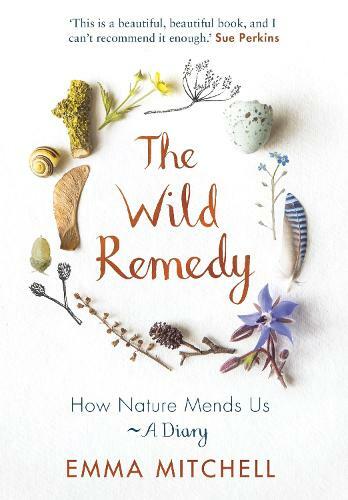 While charting her own seasonal highs and lows, she also explains the science behind such changes, calling on new research into such areas as forest bathing and the ways in which our bodies and minds respond to plants and wildlife when we venture outdoors. Written with Emma’s characteristic wit and frankness, and filled with her beautiful drawings, paintings and photography, this is a truly unique book for anyone who has ever felt drawn to nature and wondered about its influence over us.